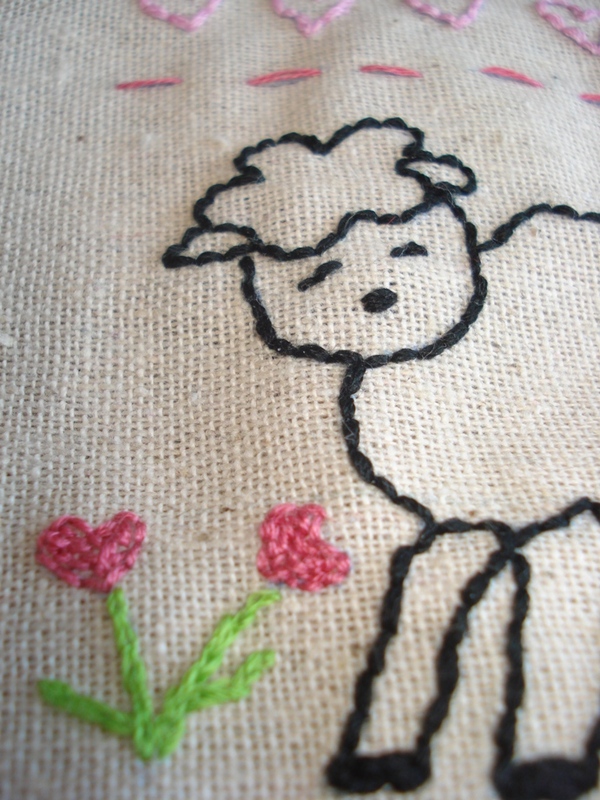 I enjoy hand stitching but am on a continuous quest to find things to stitch that can be functional. 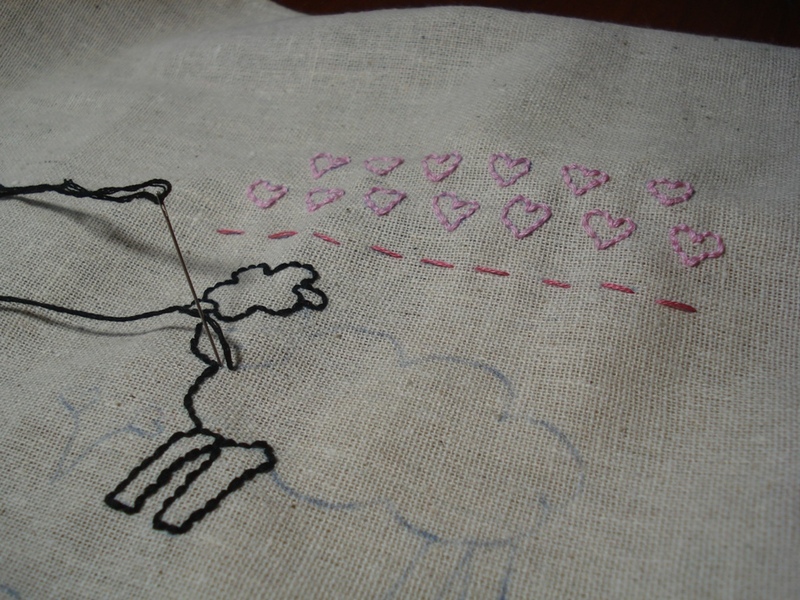 I came up with the idea to stitch on a removable fabric cover for a composition notebook. I then found a great tutorial from Smashed Peas and Carrots. Her fabric cover is fancier but I mostly followed her tutorial for these covers. I created my pattern to use with a composition book cover but this pattern can have many different uses and be stitched many different ways. If you use this pattern, I would love to see your finished work. I sewed the three fabric covers and embroidered them within a week. I had a deadline to get them in the mail before Valentine’s Day. Even though I am learning many wonderful stitches with TAST 2012, I only used backstitch, straight stitch, and split stitch for this. 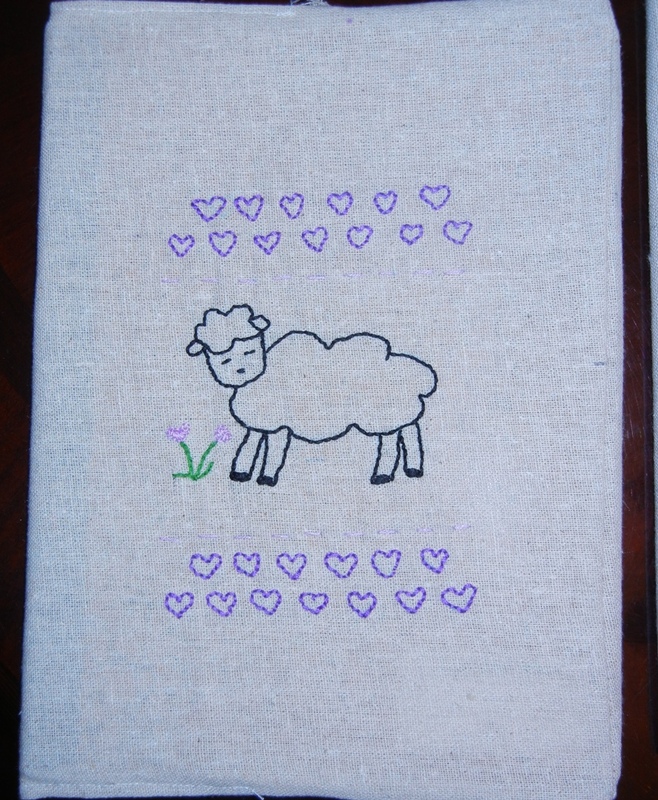 This entry was posted in Crafts, Embroidery and tagged free embroidery pattern, heart, sheep. Bookmark the permalink. Thank you Kathy, for your nice words on my few very modest chevron stitches. I am also trying all the time, very often something new. The samples are accumulating…. 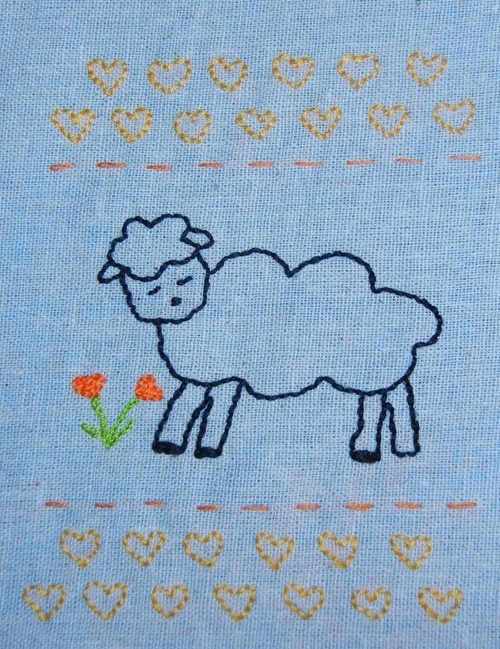 Thank you for the cute sheep pattern. 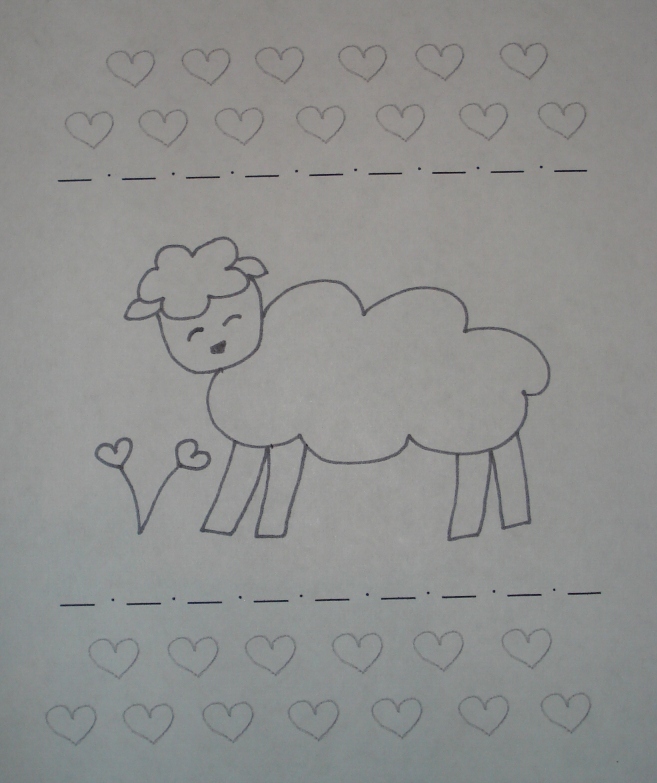 That’s adorable, and I have a friend who loves sheep! oohh it’s so cute ! !